Leading Exporter of laboratory testing equipment for steel industry from New Delhi. Being the most noteworthy, we are engaged in offering elevated grade of Laboratory Testing Equipment for Steel Industry. 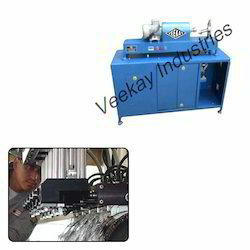 The offered testing equipment is fabricated with the help of finest grade raw material and modular technology. This testing equipment is tested on various parameters by our skilled professionals assuring its flawlessness. Motor: 0.5 H.P, 3 Phase A.C. Looking for Laboratory Testing Equipment for Steel Industry ?